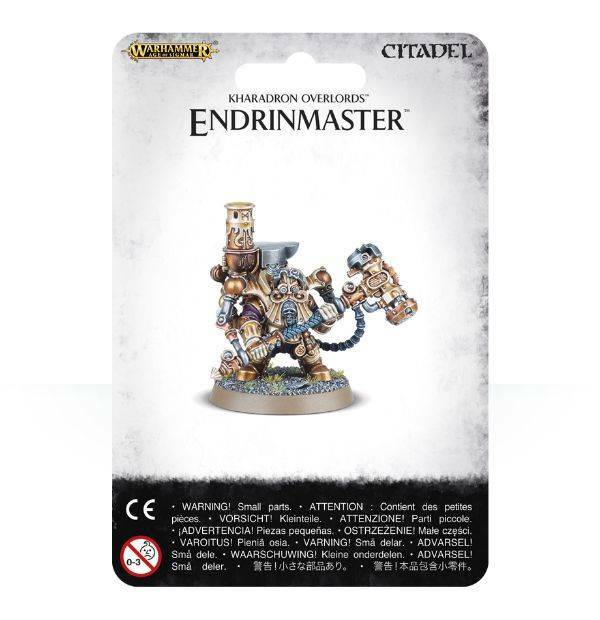 Endrinmasters are senior members of the Endrineers Guild responsible for the upkeep of the fleets, and they take great pride in the speed and firepower of the craft under their auspices. 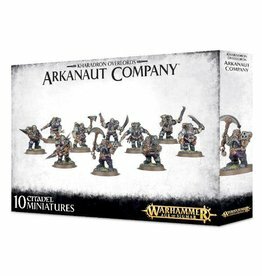 They can strip down and reassemble an aether-endrin while hanging upside down miles above land, and pick out a single misalignment amidst thousands of moving cogs using a mechanical intuition that other races might call magic. 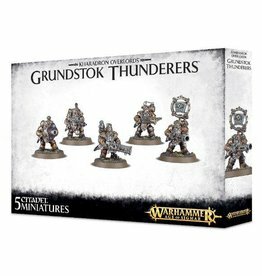 This multi-part plastic kit contains the components necessary to assemble an Endrinmaster. 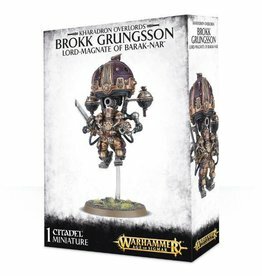 Covered in details signifying his genius in maintaining the complex machinery of the skyfleets, he wields a massive aetherhammer – this is connected to his suit by pipes and metal arms, implying incredible weight only he could lift. 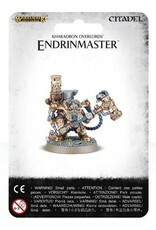 His headgear, as well as a variety of lenses used to aid diagnostics, features the ‘God’s Eye’; a beam emitter that can cut through and weld metal (with a nice secondary use in blasting enemies), and he’s brimming with tools and equipment for battlefield repairs; the Endrinmaster goes so far as carrying an anvil into battle for on the spot repairs!! 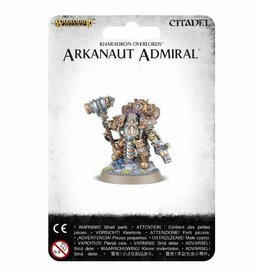 This model comes as 13 components, and is supplied with a Citadel 32mm Round base.